Course Website: Official Website - Visit Whitetail Club's official website by clicking on the link provided. 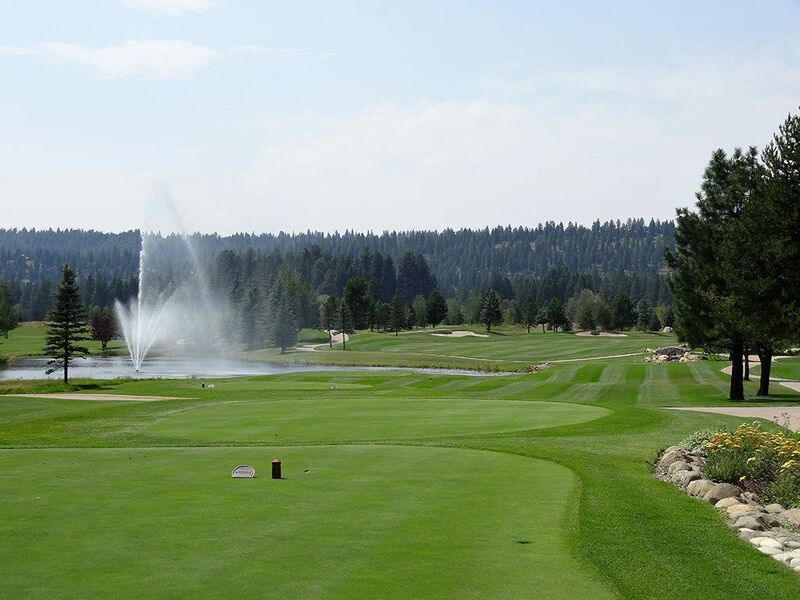 Accolades: Ranked 13th in Idaho on Golf Course Gurus' Best in State list. What to Expect: Whitetail is the kind of club that puts its biggest emphasis on member service, comfort, and conditioning. The course plays through the trees for about half the holes and in the open area with water hazards for the other half of the holes. The fairways and greens are in immaculate shape and a laser range finder is provided in the posh cart so that you can dial in your exact yardages all day. Signature Hole: 18th Hole – 468 Yard Par 4 – A dramatic finish awaits at Whitetail as the dogleg right signature hole features a tee shot over a pond, a stream framing the right side of the hole, and a green with plenty of protection. Best Par 3: Interestingly, all of the par 3s at Whitetail play in the "open" areas outside of the trees with the best one-shotter being featured at the 16th hole. A creek comes tumbling in from the left of the green and crosses in front of the hole and empties into the large pond that must be carried with your tee shot. Best Par 4: While some will argue that the 17th and 18th are the best par fours at Whitetail, I like the 10th. When I think of Whitetail I think of mature evergreen trees and the 10th hole affords an elevated tee shot to a generous fairway that then plays uphill to a green located in an amphitheatre of pines. It is a classic feeling hole with a strong dogleg and a precise uphill approach. Best Par 5: The fourth hole comes barrelling out a chute of trees to a large fairway that features sprinkler heads with more numbers on them than most cell phones. Why? Because after Whitetail opened it was determined that an additional green should be added to the fourth hole to provide a heroic shot over the water. So on some days the hole will play just 478 yards, while other days you'll find the flag in the green beyond the water to the right and will play 70 yards longer. The approach to the shorter green on the left is no slouch with a creek crossing in front of the hole. Birdie Time: The short dogleg right 8th hole affords an excellent chance to get birdie for virtually every player. If you can hit it REALLY high then you can tee it up and thump the ball over the dogleg and try to reach the green. Normal humans will simply layup to the large landing area straight ahead and have a wedge or less into the green. Bogey Beware: It is extremely rare that I put a par five down as the biggest bogey obstacle to hurdle at a course, but the 2nd hole at Whitetail is the exception. First off, my swing is hardly grooved by the time I get to the second hole of the day and secondly anytime you have to thread your driver through a narrow chute of trees it can cause trouble. This hole doglegs left and offers no chance of cutting the corner from the tee box. The hole opens up more the closer you get to the green, but the approach shot plays uphill and must navigate away from the bunker that crosses in front of the green.